Lexia Learning’s literacy improvement and assessment solutions currently help more than two million students learn to read. With Lexia, students master fundamental literacy skills through individualized learning paths and are motivated by their own success. 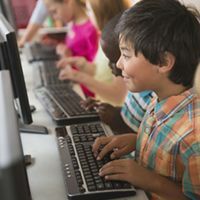 Educators have access to real-time student assessment data in easy-to-access and simple-to-interpret reports, as well as the critical resources to connect student data to classroom instruction. Students receive individualized and teacher-directed personalized learning through adaptive & engaging online activities. Based on student progress, Lexia prescribes the instructional intensity needed to increase each student’s likelihood of reaching end-of-year, grade-level benchmarks. Lexia addresses the development of oral language, reading, spelling, and writing skills for students who are learning English. Students learning English will develop fundamental reading skills with the rest of their classmates and receive student-driven and teacher-directed personalized instruction. 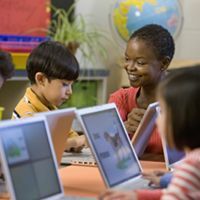 Lexia's system of personalized learning, supported by our patented Assessment Without Testing, is uniquely suited to support Response to Intervention (RTI) and Multi-Tiered System of Supports (MTSS) models. Data-driven action plans help teachers maximize their time by focusing attention where it is needed most.